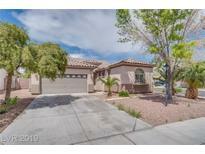 Below you can view all the homes for sale in the Stallion Mountain subdivision located in Las Vegas Nevada. 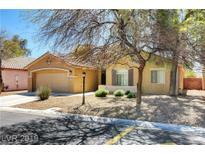 Listings in Stallion Mountain are updated daily from data we receive from the Las Vegas multiple listing service. To learn more about any of these homes or to receive custom notifications when a new property is listed for sale in Stallion Mountain, give us a call at 702-323-5986. The Family Room Has A Vaulted Ceiling And Pot Shelves Which Makes The Views Of The Golf Course, Private Pool, And Covered Patio An Incredible Must See! MLS#2089224. Williams & Associates Real Est. Exterior of home also recently painted. A must see home! MLS#2089291. Signature Real Estate Group. Travertine flooring in living areas, wood blinds and shutters throughout. Ceiling fans in all bedrooms. MLS#2088147. BHHS Nevada Properties. Two fireplace between living room and family room. Lovely backyard with covered patio. MLS#2086770. Platinum R.E. Professionals. Pool/spa retiled and re-plastered in 2017. MLS#2083413. Blackbird Realty & Management. New landscape with a covered patio in the backyard. MLS#2084296. Realty ONE Group, Inc. Spacious kitchen w/breakfast bar & nook. Must see this! MLS#2073218. Keller Williams Realty Las Vegas. *Minutes to LVStrip+Freeway+Dining+Shopping***WOW***This Home is eligible for up to $15,000 CASHBACK to Buyer - Please Inquire! * MLS#2071130. Las Vegas Immobilienscout LLC. Relax under your own covered patio in the backyard, and cool off in those hot summer months with a swim in the pool. MLS#2065953. Luxury Estates International. Call Today before this home is Sold ! ! MLS#2065101. Vegas Homes & Fine Estates. This is a gorgeous gold course home... privacy galore!!! Must see! MLS#2064057. Realty ONE Group, Inc. Kitchen has Breakfast bar, Charming fireplace in Living Rm. MLS#2058467. King Realty Group. You Wont Be Disappointed*french Doors To A Large Custom Patio. MLS#2054483. Elite Realty. This open layout with 10 FOOT CEILINGS is upgraded throughout as OVERSIZED MASTER w/DEN and casita provide so many options - FURNITURE MAY BE INCLUDED MLS#2053798. 81 West Realty. Back On The Market*absolutely Gorgeous, Fully Upgraded Home With Golf Course Frontage*exquisite Tile Floors Throughout*new Paint*upgraded Cabinets*ceiling Fans In Every Room*granite Countertops In Kitchen With Backsplash*water System*large Backyard With Bbq Island* Two Covered Patios*turn Key Ready For Immediate Move In*master Bedroom And Backyard Have Perfect View Of The Golf Course*original Owners*new Water Heater*you Will Love This Home! MLS#2050228. Since 1917 Realty. Close To Sam's Town Casino MLS#2028641. Hartline Properties, LLC. Great holiday special, it won't last hurry up. MLS#1993118. Nationwide Realty LLC.